Bespoke tour packages for groups are available in English and Italian languages starting from £150. 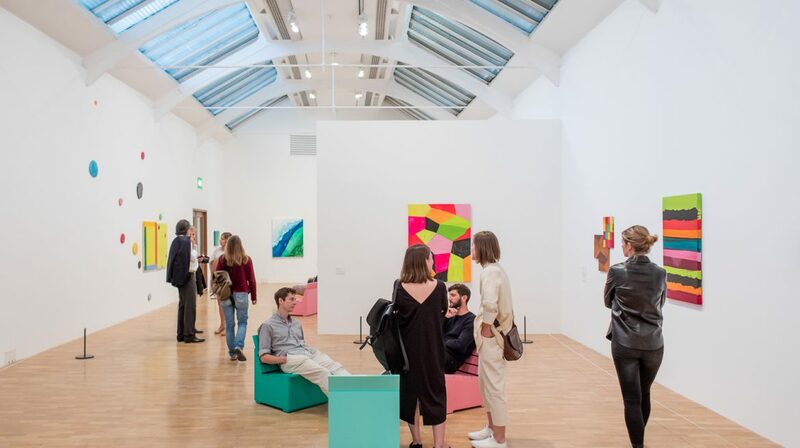 Contact tours@whitechapelgallery.org, or call + 44(0)20 7522 7888 for more information. Informing us in advance of group visits of ten people or more ensures the best experience for all visitors to the Whitechapel Gallery and concessionary admission price to paid exhibitions for all group members. Please call +44(0)20 7522 7888 or complete the online form with details of your visit. Group bookings will be confirmed by email as soon as possible after your form is submitted. Groups of more than 15 must to be split into subgroups before arrival. Entry to our ticketed exhibitions is one group per half an hour. Each subgroup must enter the Gallery 15 minutes after the previous group. Each sub-group must enter the Gallery 15 minutes after the previous subgroup. Each subgroup must enter the Gallery 15 minutes after the previous subgroup. Please give the age range of group participants. A minimum of 1.5 hours is recommended for Is This Tomorrow? Please indicate at least one exhibition. Due to the nature of the work, group entry to this exhibition is limited to 15 group members at a time. With advanced booking, Undergraduate/Postgraduate Groups, £6 per person. Groups over 10, Group Leader enters for free, plus a free drink for groups booking for 6-8.30pm on Thursdays and Fridays. All other independent groups of 10+ £9.50 per person, Group Leaders enter for free, plus a free drink for groups booking for 6-8.30pm on Thursdays and Fridays. Do you wish to pay in advance for Is This Tomorrow? Request invoice for advance payment for Is This Tomorrow? It is possible to raise an invoice for payments, including purchase orders. We ask that if it is to be paid by bank transfer that this arranged 2 weeks in advance of your visit. Would you like to subscribe to our free monthly e-newsletter? How did you hear about our group booking offer? Submitting this application form does not guarantee your booking. We aim to reply to you with confirmation within 48 hours. Please email info@whitechapelgallery.org for further queries and to check your booking status. Thank you. Special facilities such as a room to have lunch are available to school groups with students aged under 18 visiting Tuesdays to Thursdays. To book school visits email education@whitechapelgallery.org or call +44(0)20 7522 7888. Find out more about Whitechapel Gallery’s programme for schools and teachers.